As a home renter I am always looking for those easy little changes I can make to put my personal stamp on a place (personal, not permanent). 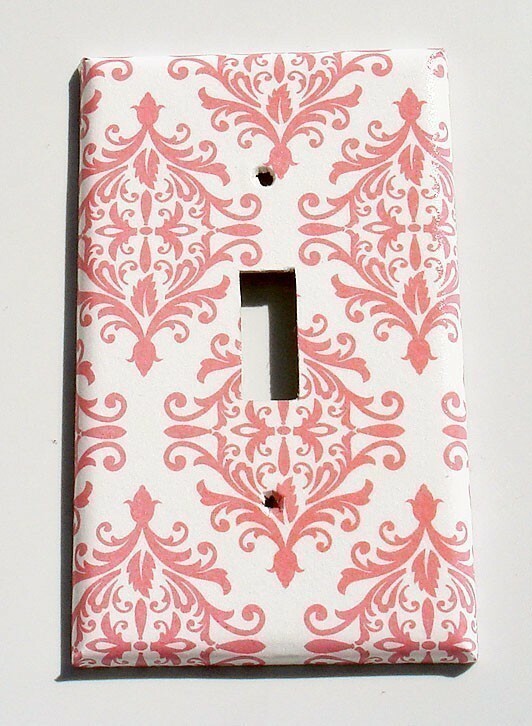 Years ago I discovered one of the best ways to do this was by changing out the standard white/beige switch plates with more decorative ones of my own choosing. 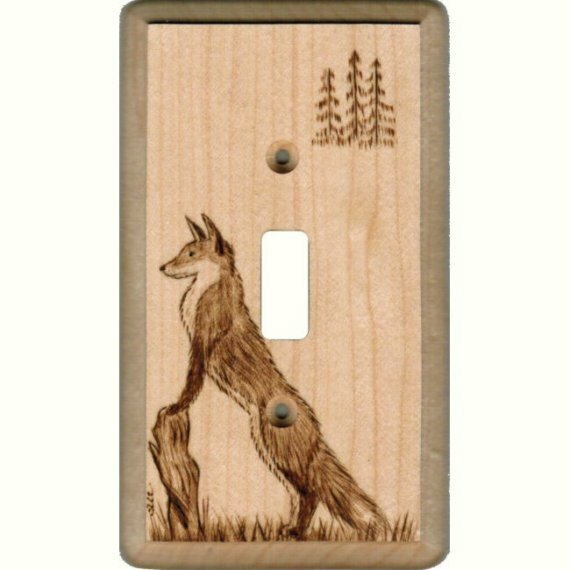 I have done this with two of the light switches in our one-bedroom apartment and plan to do more, when I find more pieces I want to use. Etsy, as always, is a great place to start my search and I have found many possibilities, so that my problem is now choice, there are just too many good choices! There you have it, my favorites, so far. 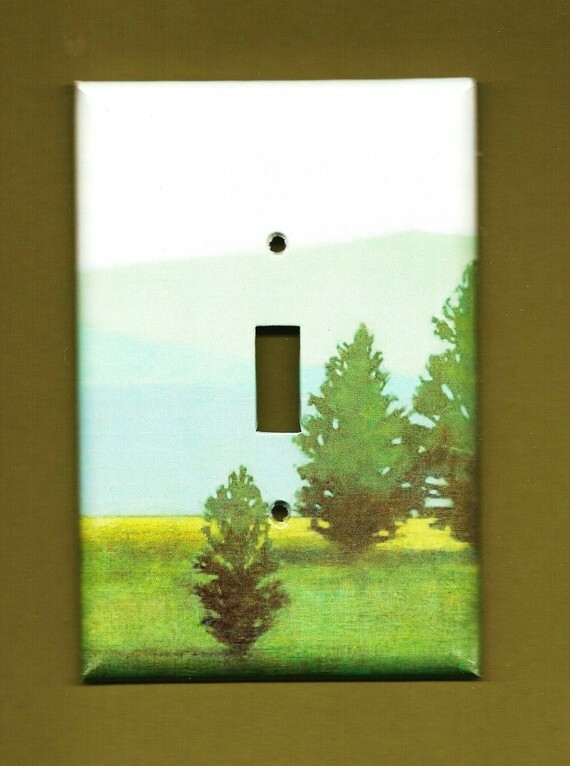 Have you ever used a decorative switch plate to liven up your home? What about any fantastic etsy finds? Share, share, share! I like the first one. But they are all real cool! that’s my favorite too Kelly! 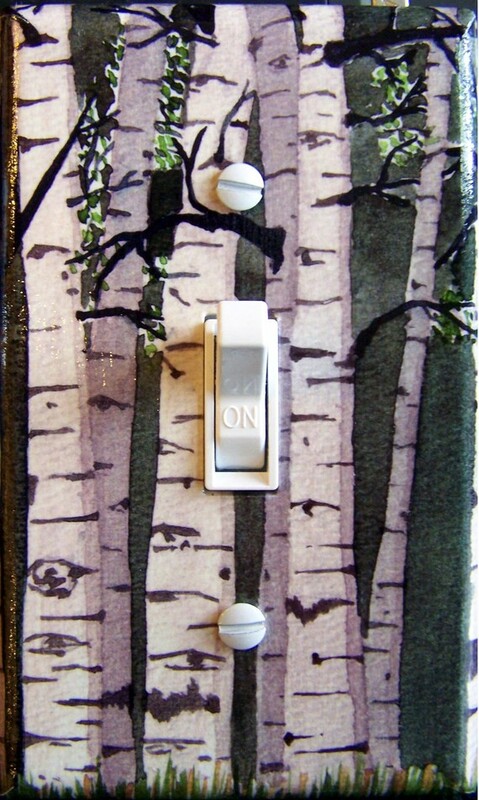 Joani I have covered our switch plates st times with wallpaper, very easy and you can get old sample books from the paint store. Lots of choices and enexpensive though I do like to support Etsy. excellent idea Mary! How did yours turn out? 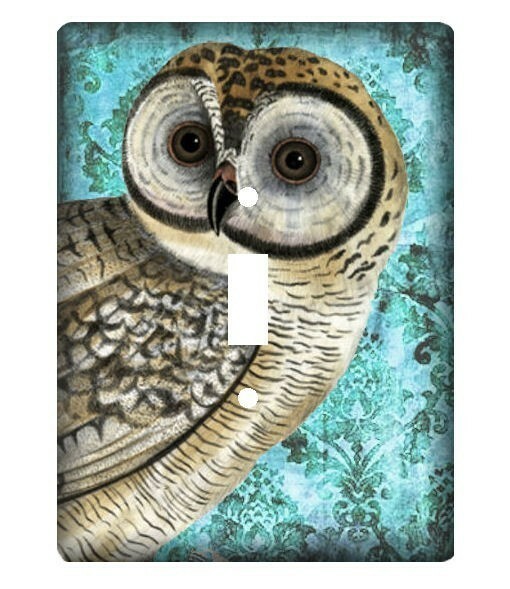 you can also make photo copies of your photos and mod podge them on your switch plates.